Mouse anti Human macrophages antibody, clone 3A5 recognizes an antigen expressed by human macrophages, monocytes and histiocytes, but does not stain interdigitating dendritic cells, Langerhans cells, microglial cells, or lymphoid cells. Some staining of basophilic granulocytes and of mast cells may be seen.  In immunohistochemical studies Mouse anti Human macrophages antibody, clone 3A5 shows partial cross-blocking with some anti-CD68 monoclonal antibodies, suggesting that the epitope may be associated with this antigen. Jaspars, E.H. et al. (1994) A new monoclonal antibody (3A5) that recognises a fixative resistant epitope on tissue macrophages and monocytes. J Clin Pathol. 47 (3): 248-52. Choi, Y. et al. (2009) Immunohistochemical Characterization of the Human Sublingual Mucosa. Int. J. Oral Biol 34: 131-135.